Explore the darker side of society through the decades. Last time, I discussed punks, a group that emerged in the 1970s whose fashion and lifestyle choices reflected a rebellious and unconventional reaction to society. This week, I’ll be talking about glam rock – an ideological and stylistic predecessor of the punk movement. This group formed a major part of the British music scene in the early-to-mid-1970s. 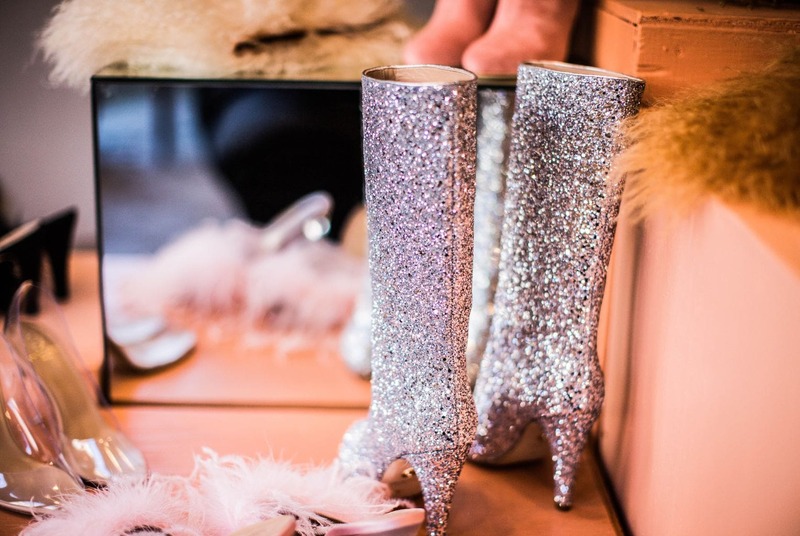 Unlike the punk and goth movements that would follow, glam rock was all about outrageous flamboyance, including glitter, bright colors, and camp. Glam rock is considered to be a return from the revolutionary, political music of the 1960s, to a more superficial, exaggerated view of style and celebrity. Glam rockers were inspired by sources as varied as hard rock, science fiction, cabaret, and bubblegum pop. Unlike the punk movement that would follow it, glam rock was not a political movement in addition to an artistic one – while it influenced music, aesthetic, and film, members were not unified under one social or ideological movement that reached outside of their culture. A major part of glam rock fashion is theatricality – not the dark, moody kind exemplified by goth fashion, but one of dramatic silhouettes such as spandex and platform boots, made even more eye-catching in glitter, metallic, animal print, and bright colors. Accessories in glam rock outfits are numerous and bold – feather boas, bandanna headbands, scarves, and jackets – and could be worn in a variety of colors and patterns., often without regard for any matching between items. One of the most important aspects of the glam rock aesthetic is large, textured hair, usually shoulder length or longer, and heavy, curly bangs, which can be spotted on men and women alike. On stage, performers wore not only dramatic eyeliner and lipstick, but also face paint. David Bowie’s iconic makeup looks are emblematic of glam rock. Glam rock was initially a British phenomenon, but one that would spread to America through the popularity of glam rock musicians – just like punk would do a few years later. Counterculture movements that followed glam rock were influenced by its theatricality and drama, as well as its rejection of gender norms. Artists for decades following the popularity of glam rock have emulated both its musical style and its’ eye-catching aesthetics – including acts as varied as Kiss, Prince, and Marilyn Manson. Are you into the glitz of glam rock? What countercultures do you find most interesting? Let us know in the comments below.